If you don’t have plans for Sunday 5/1 we’ve got you covered! -San Clemente Cinco de Mayo Fiesta is from 12-6pm in Max Berg Plaza Park. Entertainment, food, games, shopping & more. 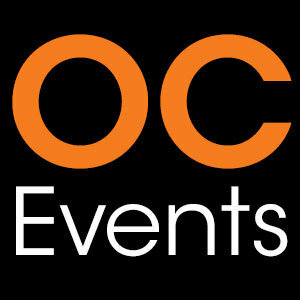 -Taste of Orange is from 3-7pm in Old Towne Orange (at the Assistance League Chapter House). -Rancho Days Fiesta is from 11am-3pm at Heritage Hill Historical Park in Lake Forest. Hands on activities (including butter churning, candle dipping and piñata breaking), music, dancing & more. -Railroad Days is from 9am-5pm at the Fullerton Train Station. Tours, exhibits and a 1927 steam locomotive! -Santa Ana Cinco De Mayo Festival starts at 12pm on 3rd and 4th street in Santa Ana. Live entertainment, food, carnival rides, games & more. -Anaheim’s Cinco De Mayo Fiesta starts at 12pm in La Palma Park. Carnival rides, games, entertainment, food & more. -Arts Alive & Street Painting Festival is from 12-5pm on the Village Green at Oso Viejo Park in Mission Viejo. -The La Habra Citrus Fair is from 12-9pm on La Habra Blvd. Live music, food, games, carnival rides & more. -May Day Festival is from 11am-3:30pm at Bowers Museum in Santa Ana. Live music, arts & crafts activities & more. -Dapper Day at Disneyland. Get dressed in your “Sunday best” and join 20,000+ other fashionable Disney fans for a day at the parks. -It’s the final day of Disney California Adventure’s Food and Wine Festival. Beer flights, food bites & more.